The Freezer Meal Frenzy staff tends to prefer spicy chili. Chili is named for chili peppers, and we like to be able to taste those peppers when we dig into our stew. 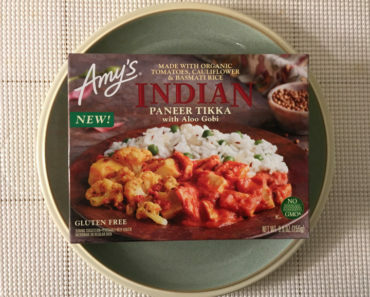 Still, we know that some diners prefer milder chilis, which is why we’re glad that Amy’s Organic Medium Chili is an option. 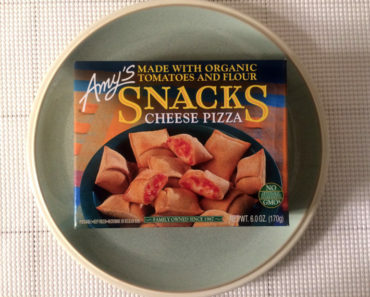 But wait — why are we reviewing canned foods at Freezer Meal Frenzy? 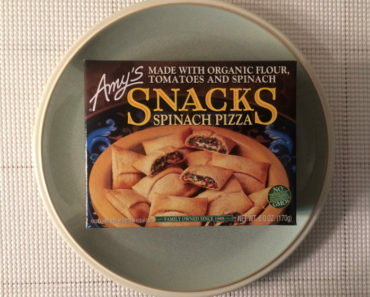 Since Amy’s Kitchen makes some of our favorite frozen products, we’ve decided to try out some of their other offerings. 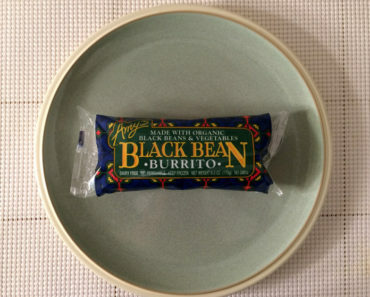 We’ve already reviewed several of Amy’s soups and chilis, and we’re eager to try more. Canned soup is typically easy to make, and like a canned soup this chili is no sweat. We opened a can, dumped it into a bowl, and tossed it in the microwave for two minutes. That’s all it took to get this chili ready to eat. We tasted tomatoes as soon as we bit into this chili, which made us assume that the stew was tomato-based. 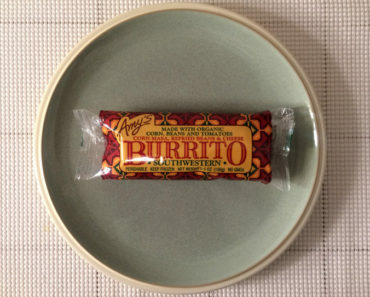 However, a quick look at the label confirmed that this chili doesn’t contain any tomatoes at all. 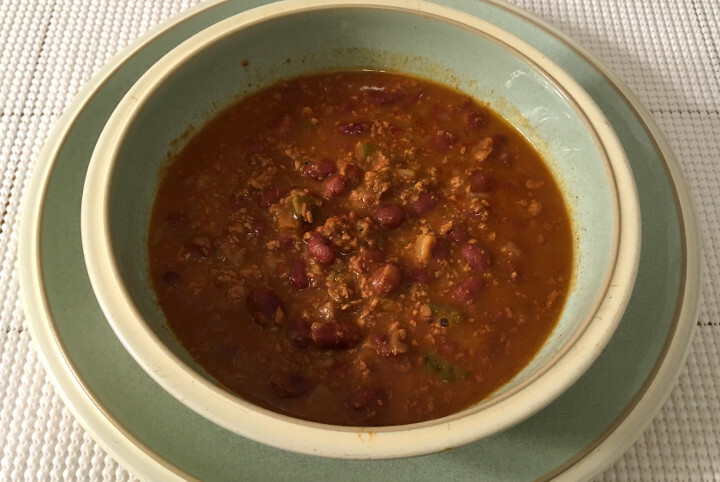 If you like the flavor of tomato-based chili, but have issues with acid reflux, this tomato-free chili might be a good way to satisfy those cravings. This is the second foray into the world of Amy’s chili. 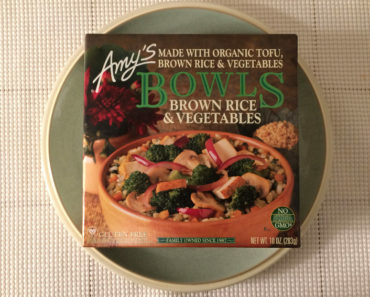 We thought that Amy’s Organic Spicy Chili was tasty, but too mild to be described with an adjective like “spicy.” The same holds true for this chili as well. It’s got plenty of flavor, and the chunks of tofu do a great job of replicating ground beef, but it’s a very mild chili. There’s no kick to it at all. 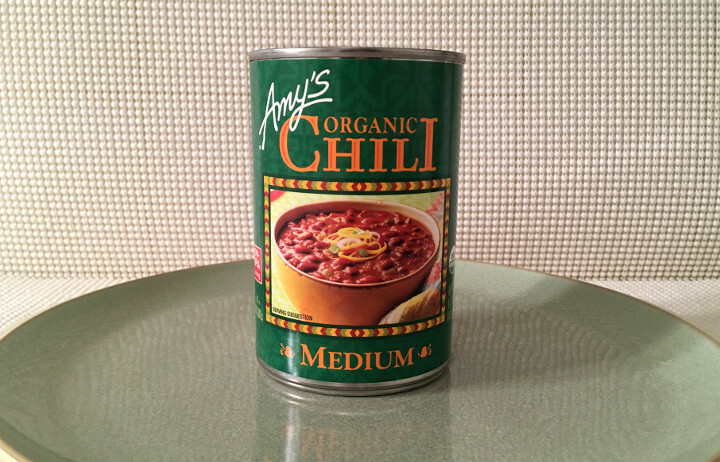 If you don’t mind milder chilis, Amy’s Organic Medium Chili is a delicious, vegan-friendly chili that’s a breeze to prepare. Our staffers prefer chili with a little more heat, but you might find this chili to be perfect for you! 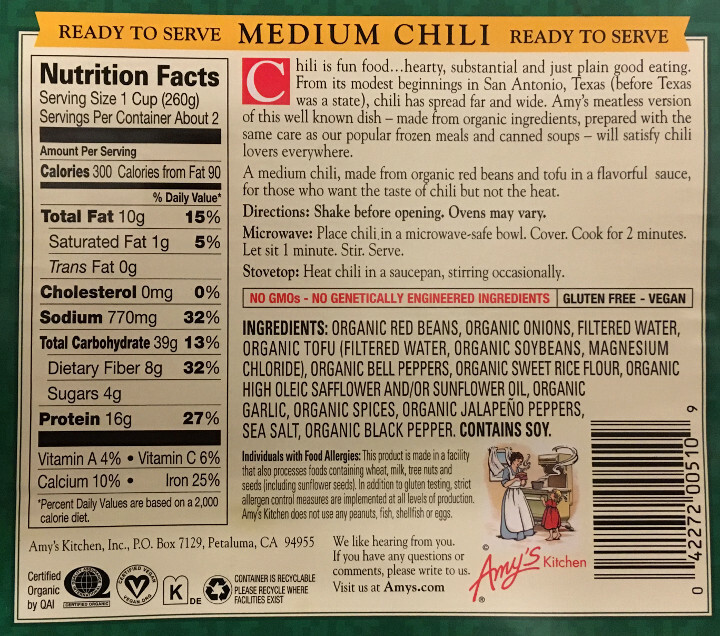 To learn more about the nutrition content, ingredients, or cooking instructions for this Amy’s Kitchen chili, check out our package scan below.